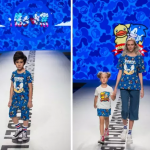 Don’t get your feathers ruffled Hello Kitty, there’s a new mascot crossing over with Sonic. 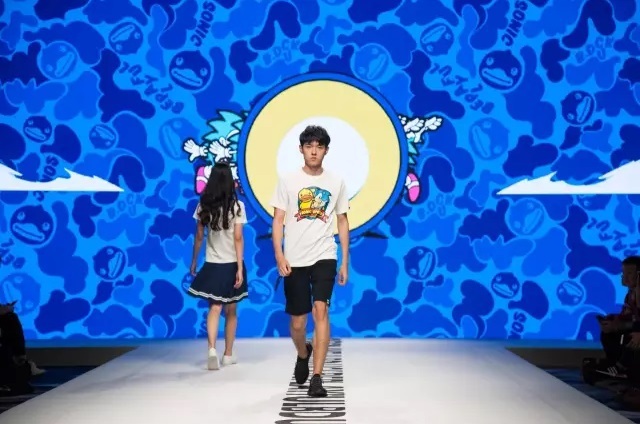 Hong-Kong based, Semk Products Ltd and Sega are working together for a summer clothing crossover with mascots B. Duck and Sonic the Hedgehog and it has our interests beaked. 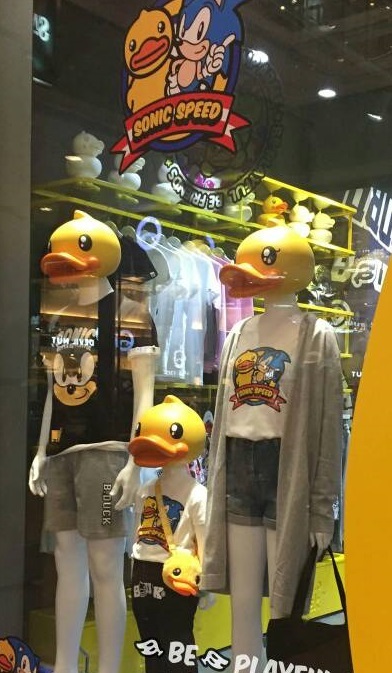 Don’t cry fowl, but it seems this clothing line may only be available in the B.Duck stores in Hong Kong. If you can’t waddle down there check out their online store and there’s a small chance you may be able to quack open a case of these shirts sometime in the future, but I’m not sure. Just don’t dip into your savings nest. See more photos of this glorious partnership below. UPDATE: This was actually announced back in November of last year. Must’ve flown under our radar. Also, they look to be available now in Hong Kong. …Then again, I guess it IS Japan, whole different world. Just stop. Sonic…. just f***ing stop this endless nightmare of pure, molten garbage. HOLY crap. I absolutely like this is weird still I like it of dukes hahahaha for Sonic clothing XD! Sure no one asked for it… however, something to ponder. Even though stuff like this is honestly harmless and not the craziest thing to come from franchise crossovers, how much bank do you think they’re getting for this? On top of that, how much of those funds end up going towards game development and other based things? Ok maybe not specifically game development, but perhaps allocating so that there’s more supportive funds for things like the movie and other shorts, the comics, yes even the production for the Sonic Boom series whether you like it or not. Business is business folks. If it means they can afford better mainstream content and events ‘n stuff in the future, we’ll probably be seeing more face mud, odd licensing choices, and other things in other countries around the world. The franchise itself cannot survive on games alone, else it would’ve been dead long ago. Seriously? This is embarrassing for Sonic. This is worse than the Hello Kitty crossover. Sonic, do a better crossover! You can do better, Sonic!